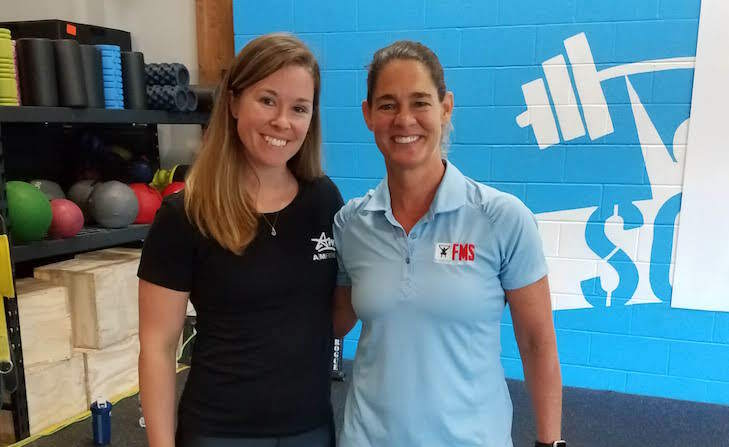 Over the past weekend, I had the opportunity to attend a Functional Movement Screen Level 1 Course. The Functional Movement Screen is comprised of 7 different movements and scores are given based on the level of motor control displayed within those movements. It is used to determine movement deficiencies, and demonstrate limitations or asymmetries. During the two-day course, I was able to learn the reasons why we perform these tests as well as practice doing the screen myself. 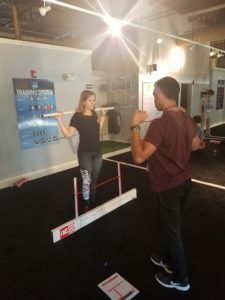 In addition to learning how to conduct the screen, we also learned corrective exercises and strategies to improve movement patterns and range of motion. 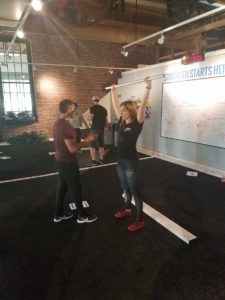 The Functional Movement Screen itself takes about 15-20 minutes to complete, but it provides coaches with a ton of information to better help people improve their movement patterns, motor control, and stability. The goal of the screen, along with corrective exercises, is to identify dysfunctional movement patterns and subsequently improve them to reduce the risk of injury. To say that I learned a lot this past weekend would be an understatement. My favorite part of the weekend was meeting a bunch of different people involved in different areas of fitness, rehabilitation, and athletic training. 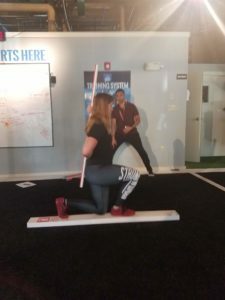 My biggest takeaway from the course was that many people are able to perform a wide range of activities, but are using compensatory movement patterns that can lead to poor biomechanics and potentially resulting in future injury. I’m looking forward to continuing to learn more about movement patterns and to use this as a tool to help the A|M community.